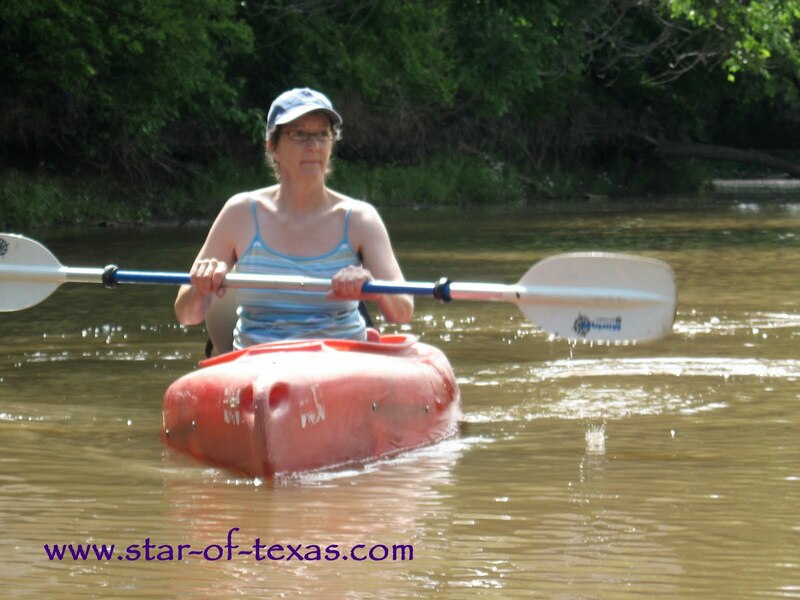 We offer a canoe package to enjoy the Pecan Bayou here in Brownwood. Come stay with us and we will take the canoe to the launch site, put you in and let you spend as much time as you want enjoying the beauty of a queit water bayou. Lots of Texas birds, wildlife and fish jumping to enjoy. 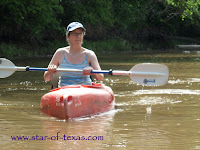 This is me Deb in my single kayak, I love to paddle and this stretch is so relaxing and great.